I tend to spend quite a lot of time looking at educational trends and the latest digital tools emerging on the market. Many promise quick fixes for education, as if education was something like a packet of soap which can be "fixed" or "improved" like a display in a supermarket. Education is a process. It will never be a product with quick fixes, no matter how many times one flips a classroom or not. Education is not only something that is supposed to happen in a classroom, but a whole social process, where every member of society adds and subtracts value to it. Education is something that begins at home, with values and attitudes. If a learner is lead to believe that a teacher is only a cheap child minder, there is no wonder how that learner will behave in class. If a society only pays lip service to its educators, it is no wonder so many teachers leave the profession in despair and disillusion. As I struggle with the soullessness of having to teach towards exams, I can't help but question - what if students were actually given the opportunity to create and learn about something they really are interested in? What if, instead of the teacher presenting every lesson as an edutainment session, students were given tasks which would demand different forms of thinking, instead of mindless repetition? Asking students to carry out a survey for a mini project is neither new nor one of those dreaded, ubiquitous "21st Century" skills. 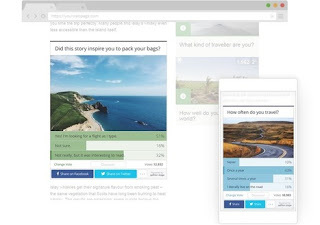 However, with digital tools, surveys can be created differently today, engaging both the creator in the development of a survey and the participants. 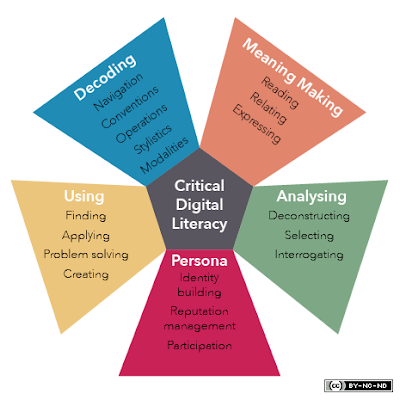 Most of all, the skills which play into the creation of these interactive surveys are contemporary and yes, do involve the learning and practice of Digital Literacies. Opinion Stage is free and creates interactive polls, quizzes and lists - with images. which are indeed relevant for their lives outside the school gate. Rather than merely giving students a chart or graph to discuss, they would be actually making decisions as to which questions to ask, which images to use and how to really create something more meaningful and which they would be proud to share with others. Most of all, students would be doing, would be active in their learning process. The truth is, learner autonomy is not going to happen if students are not given the opportunities to create and learn. Students will not become active participants in their learning if the same style of worksheets and gap fills are served up regularly. As Stephen Downes points out: It's not what the teacher does that is important. It's what the student does. It's not what the teacher does that is important. It's what the student does. It really is a question of choice. How do you create opportunities for practising digital literacies creatively?